Dr. Eslam Ramadan presents a case of post traumatic cataract with corneal opacity and eccentric pupil shifted down with iris tissue covering the visual axis. 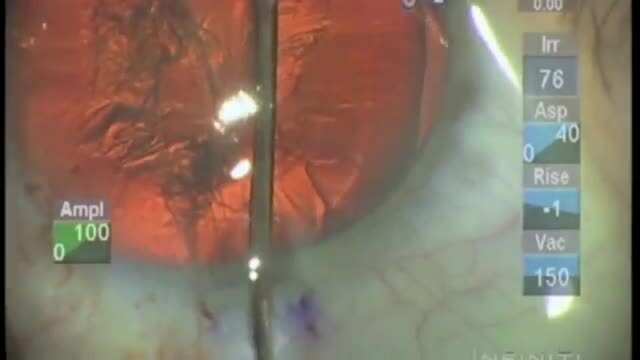 The capsulorhexis is created with a Fugo blade, the soft cataract is removed by phacoemulsification and bimanual I/A was used to remove sub-incisional cortex. The iris is repaired with a seiper's sliding knot and enlarged with Fugo blade to centralize the pupil and clear the visual axis.